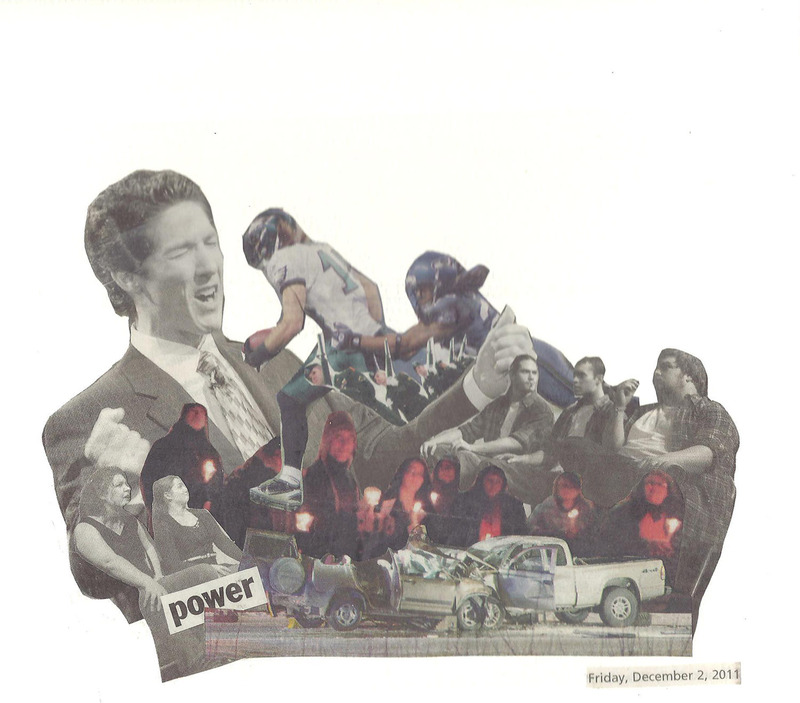 I put the word “Power” on this collage but it’s wrong. I should have been “faith” or “believe” or…”hope.” Hope that someone is listening, that we can get along, that the brakes will work, that my team will win. Hope that what we are doing is not in vain. This entry was posted on December 3, 2011 by AK in 365 Days of Print, alaska, art, musings, seen and tagged 365 days of print, alaska, art, collage, daily news miner, power.